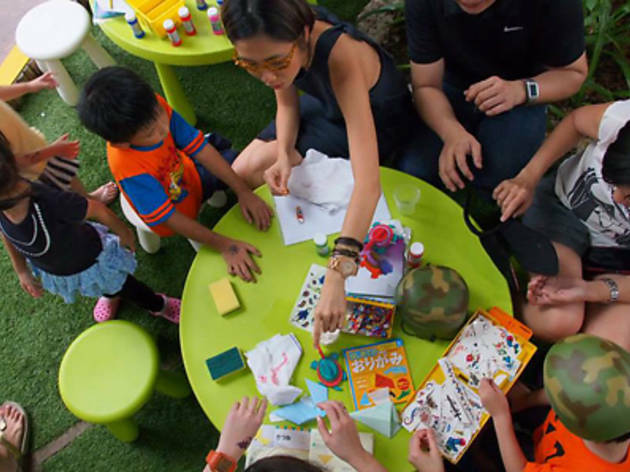 Mainly romping grounds for the adults after dark, Timbre @ Gillman gets a little more family friendly with its new Saturday Social BBQ. 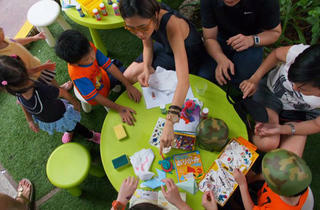 Geared towards families and parents that are young at heart, activities include face painting and craft workshops. Soccer games will kick off at the field next to the venue and percussion workshops will be conducted by the Junior Academy of Music hourly. A meat-heavy menu of barbecued dishes including baby back ribs ($17), sirloin steaks ($19) supplements Timbre's popular wood-fired pizza selection, the restaurant caters a special a la carte kids menu for finicky young eaters featuring battered fish & chips ($10) and gilled minute steaks ($14).